A starving African Child. Maybe I should donate to a charity? 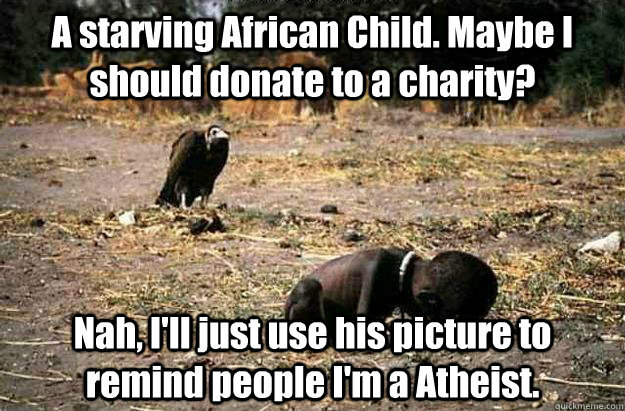 Nah, I'll just use his picture to remind people I'm a Atheist.